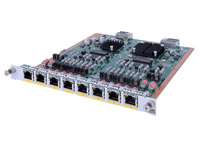 The Cisco® Channelized T1/E1 and ISDN PRI High-Speed WAN Modules combine multiple T1/E1 WAN connectivity-Channelized T1/E1 and ISDN Primary Rate Interface (PRI), in the same card. 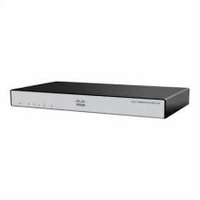 Applications include fractional or full T1/E1 WAN connectivity, ISDN PRI for primary WAN link or WAN backup, and dial access aggregation. With flexible WAN connectivity options, together with integrated routing, security, voice, and wireless capabilities, Cisco Integrated Services Routers can meet every need of enterprise-class branch offices today and in the future. 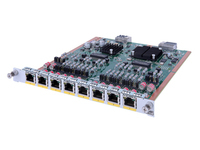 Three versions are available, 1- and 2-port cards in a single-wide high-speed WAN interface card (HWIC), and a 8-port cards in a single-wide network module. The different versions help enable customers to deploy different port densities according to the needs of individual offices. 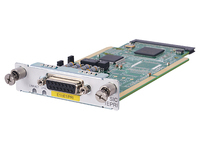 The modules can be used in T1 or E1 networks, selectable by software configuration. The integrated channel service unit/data service unit (CSU/DSU) function allows customers to consolidate customer premises equipment (CPE). The modules support balanced and unbalanced E1 connectivity and conform to the G.703 and G.704 standards for unframed and framed E1 modes. 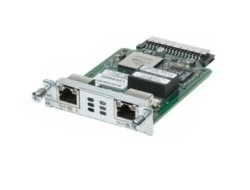 The Channelized T1/E1 and ISDN PRI modules work with the digital modem module in the Cisco 2800 and 3800 Series Routers to provide V.90- and V.92-compliant digital dial access aggregation.